Mrugavani National Park park is home to a luxury resort and deer park where you can go for a picnic with friends and family before Winter officially begins. Located in Moinabad, 22 km from the city, is Mrugavani Resort And Spa. It is a blend of nature with modernity where you can go for celebratory events, team outings or just to experience some peace away from the bustling city life. This place is compact but has pretty landscapes and a number of suites. 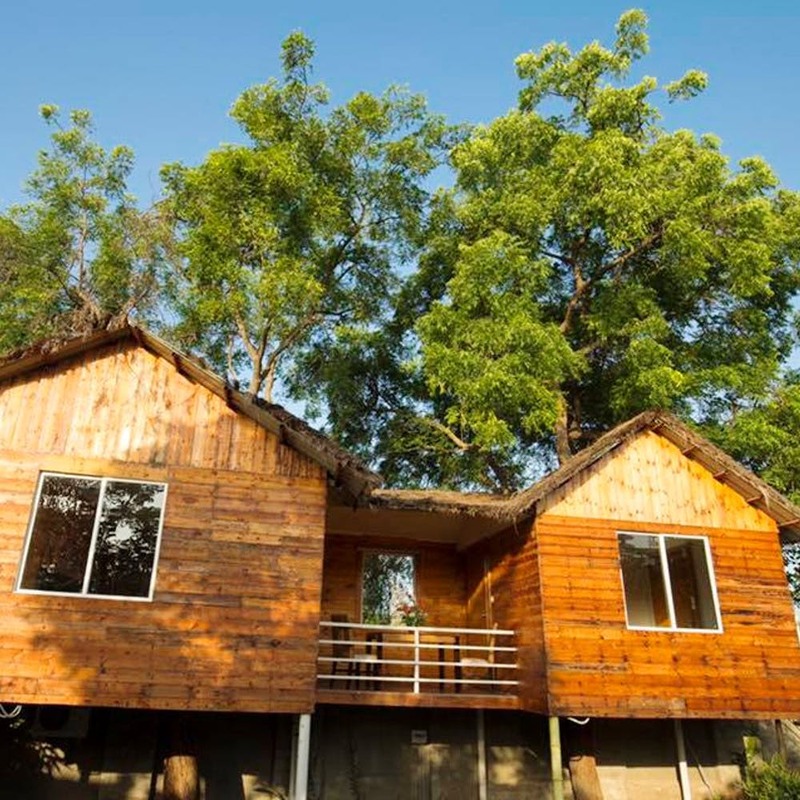 You can find tree huts, luxury tents, lagoon cottages as well a premium and deluxe suits which are clean and well equipped (and at INR 3,499 to INR 6,499 per night). They also have space for indoor and outdoor events, restaurants with multi cuisine delicacies, a swimming pool and lots of fun activities like horse riding and volleyball. Makes for a very relaxing holiday, doesn't it? All of this is an integral part of the Mrugavani National Park. You must also check out the various view points within the park for picturesque sights and make your Instagram feed lit. If you would like to just sit with a book amidst nature too, let us tell you that there is a library here where you can pick books from and enjoy a quiet read. You can go on a safari tour where you shall encounter deers, peacocks and more animals if you are lucky. But, the service isn't the most efficient. The driver may not be on time, or the bus may not function at all, but if it does — it is really cheap at just INR 50 for a group of five. At the entrance of the national park is a small museum displaying a collection of snake skin among other things. Since it is also located close to the Chilkur Balaji Temple, you can stop by this resort and park on your way there and also enjoy some family time.